On Dec. 18, Congress passed the Protecting Americans from Tax Hikes Act of 2015, otherwise known as PATH. It’s not every day Congress passes a tax-related bill and accountant types celebrate. But on Dec. 18, Congress did just that by passing the Protecting Americans from Tax Hikes Act of 2015, otherwise known as PATH. This $622 billion tax bill is expected to bring some welcome certainty to taxpayers, certainty that has been missing for the past several years. For the second year in a row, Congress passed a major tax bill in December that retroactively applies to all of 2015. The major provisions provide taxpayers with the current-year deductions for purchase of equipment and other property typically expensed over several years. It’s not always easy to keep up with all the implications of new tax laws, so here is a quick look at a few of the major tax-saving provisions of PATH that are helpful to business owners, homeowners and college students. 1. Prior to the passage of PATH, tax law — Internal Revenue Code 179 — allowed a taxpayer to deduct in the current year up to $25,000 in property purchases that would otherwise have to be depreciated over a period of time, typically ranging for three to 15 years. PATH increased the current-year deduction to $500,000. This deduction is phased out if more than $2 million of equipment or personal property is purchased during the year. This means if the $2 million limit doesn’t apply, and equipment valued at up to $500,000 is purchased, the taxpayer would be able to expense the entire $500,000 of equipment. Prior to PATH, the taxpayer would only be able to deduct $100,000 in the first year and deduct the remaining over the next four years (assuming the equipment has a lifespan of five years). 2. PATH extends bonus depreciation through 2019. For years 2015, 2016 and 2017, the bonus depreciation percentage is 50 percent of the cost of the new property acquired and placed in service during the year. The bonus depreciation percentage phases down to 40 percent in 2018 and 30 percent in 2019. Bonus depreciation can only be taken on new property. For example, a business placing $3 million worth of equipment with a five-year life in service will now get to deduct $1.5 million of bonus depreciation and $300,000 of regular depreciation this year. Prior to PATH, that same business would only get to deduct $600,000 of deprecation. 3. Related to the deduction for equipment or tangible personal property, the IRS recently issued a safe harbor that allows businesses to deduct purchases that don’t exceed $2,500 in the year of purchase. This means a company that buys 50 computers for $2,000 each for a total cost of $100,000 could write off the entire amount. The write-off is possible because the computers did not exceed the $2,500 safe harbor amount. Best of all, this deduction does not reduce or otherwise impact the deduction allowed in Section 179 as described above. 4. Many businesses qualify for a credit known as the Research Credit. For years, this credit has been extended annually for one or two years. PATH permanently extended the credit and further enhanced its availability and value to businesses. A valuable enhancement for startup companies with gross receipts of less than $5 million is the ability to deduct up to $250,000 of research credit against their employer FICA tax liability. Any unused credit can be carried forward to future years. 5. Effective for 2015, PATH makes permanent the individual itemized deduction for general sales taxes in lieu of state and local income taxes. This deduction is especially helpful in the year a high-ticket item is purchased such as a car or truck. 6. PATH extends for two years the exclusion from taxable income of home mortgage debt that is discharged, subject to a written arrangement entered into before Jan. 1, 2017. This is especially meaningful to short sellers who are underwater, owing more than their homes are worth. Without this provision, if a homeowner short-sold for $150,000 when the mortgage was $250,000, the homeowner could have to pay federal income tax on the $100,000 difference. This provision has been used by Realtors and others in Nevada, which for years has had one of the nation’s highest rates for foreclosures, short sales and underwater homeowners. 7. Congress also resurrected the college tuition deduction for 2015 and 2016. PATH allows an individual taxpayer to claim a limited deduction for tuition and related fees ranging from $2,000 to $4,000 depending on income level. Deducted expenses include tuition, fees, books and supplies. Keep in mind that these are just the highlights. PATH, as approved by Congress, is 233 pages and contains many more changes, but those will likely affect a more limited group of taxpayers. To better understand how PATH might affect your bottom line and minimize the taxes you pay, discuss your personal tax situation with a qualified advisor. 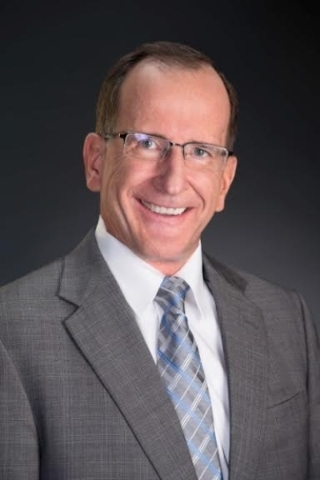 — Chris Wilcox is the taxation and transition partner and co-founder of JW Advisors, a Las Vegas-based consulting firm specializing in business financial consulting, litigation support and forensic accounting, assurance and tax services. Reach him at 702-304-0405.